State law contains the wording "(2) If a contractor operates a speed monitoring system on behalf of a local jurisdiction, the contractor's fee may not be contingent on the number of citations issued or paid.". However this restriction has for all intents and purposes been rendered null so long as speed camera programs know not to use the word "operate" to describe what the contractor does (or as we say "Don't use the O word!! "), regardless of the extend of the contractor's duties and how much control they have over the cameras (which in many cases is almost total control). The Office of the Attorney General(OAG) provided a letter of advice in 2008 instructing Montgomery County on how to circumvent the rule... advising the county to change the wording of their contract to specify that the county rather than ACS "operates" the cameras. This letter between the office of Attorney General Doug Gansler and Delegate Brian Feldman, essentially served as a blueprint for every local government which later wanted to circumvent the restriction and sign a contingent fee deal, as well as a "get out of jail free" card for Montgomery County's existing contract. Based on the advice of the OAG (which should probably be renamed to "The Department of Helping the Government Break the Law"), Montgomery County made a short modification to their contract which named the county as the "operator" but did not alter the contractor's actual duties in any way. Other jurisdictions followed suit by implementing similar contracts. Changing the law to close the "loophole" may hit a snag because some local governments, such as Montgomery County and Howard County, have objected to ending the bounties, claiming that they "could no longer afford to keep the speed cameras" if they did not have per-ticket fees. Of course this raises the question that if local governments introduced the speed cameras for safety, not revenue, why is it that they "cannot afford" the allegedly "life saving" devices if they are not profitable? When the revenue goes away, so do the cameras. Chevy Chase Village originally had a contingent fee contract with Xerox corp, but later changed to a flat fee arrangement in response to criticism and a lawsuit. The SHA's "SafeZones" program also pays a flat fee per camera, rather than per ticket. We noted in 2010 how Montgomery County and Gaithersburg had a practice of skimping on the one duty specifically spelled out for the "operator"... signing the "daily" setup logs for the cameras, which it turns out were often not signed daily at that time. 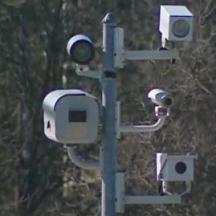 Montgomery County and other jurisdictional have in several cases refused to provide the timecards of speed camera "operators" in response to public information act requests filed by ticket recipients who were seeking to confirm whether or not "operators" were actually working on days that logs were "signed" (in some cases digitally signed). Most recently, in a response to a recent public information act request to Baltimore which had been forwarded to StopBigBrotherMD, we found that the city of Baltimore had also refused to provide "operator" timecards, and that on certain days no "daily" log was provided. Baltimore also pays a contingent fee, using the same "operator" loophole. Many object to the per-ticket payments because it in theory incentivizes the contractor, who usually own, maintain, and process violations from the cameras, to find ways to maximize the number of tickets issued, possibly by allowing questionable citations to be issued. In 2011 the independent consumer advocacy group US-PIRG wrote an extensive report cautioning on the effects of privatization of law enforcement, which among other things criticized the practice of per-ticket bounties. Until recently the matter was not taken seriously by either the state's political establishment or the courts. Last year a bill was introduced (HB1044) which among several other provisions included language that would have tighten. This bill was killed by the House Environmental Matters Committee (chaired by Del Maggie McIntosh) and was never put to a vote in either house. However late last year it was revealed that Baltimore City (which pays Xerox Corp a per-ticket bounty) had issued a large number of erroneous citations (in some cases 1 in 20 citations was an error). Documents obtained by StopBigBrotherMD.org proved that Xerox was aware of the errors with one camera in March and July of last year but that the defective camera remained online for months until November when the Baltimore Sun reported on the issue. As a result (at least) hundreds of false accusations against innocent motorists were made. By contrast, when the SHA (which pays Xerox a Flat fee), encountered problems with THEIR hardware, half the potential citations recorded by their cameras were voided. State lawmakers might want to ponder whether the SHA would have found itself in the same pickle Baltimore is currently in if their contract's profits had depended on keeping faulty equipment in the field and not throwing out questionable tickets.